(CBS News) There's a new Osbourne in town. 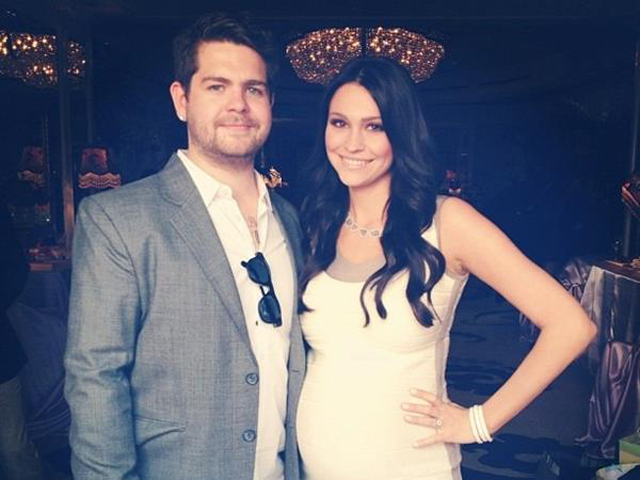 Jack Osbourne, the son of rocker Ozzy Osbourne and "The Talk" co-host Sharon Osbourne, is now the father of a baby girl. Osbourne, 26, and his fiancee, actress Lisa Stelly, welcomed a daughter named Pearl on Tuesday, his rep confirmed to People. Pearl is the first child for the couple, and first grandchild for the Osbourne family. The pregnancy was revealed in October, when Jack appeared on "Piers Morgan Tonight" with his parents. Ozzy Osbourne told Piers Morgan: "I'm in shock, I think it's fabulous." Sharon Osbourne added, "I'm happy because it's what Jack wants, so I'm happy. And I've always wanted to be a grandma, so it couldn't be better."